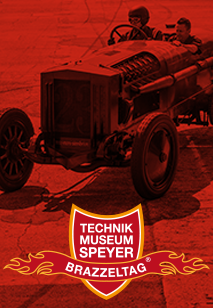 The Technik Museum Speyer is open on 365 days of the year from 9am to 6pm. Saturday & Sunday open till 7pm. On December 24th and 31th shorter opening times. The IMAX DOME giant screen theater is opend 365 days of the year. Films start every hour and are shown in German language. 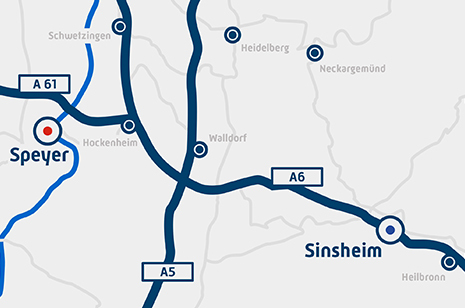 The Museum Wilhelmsbau (included in the museums entrance fee) is open from 11am to 6pm. The restaurant at the museum is open from 9am to 6pm. We offer breakfast till 11am. The souvenir shop located in the forum of the Technik Museum Speyer is open from 10am to 5pm and offers a variety of gifts, car models, books and DVDs. Out of shopping hours you have the opportunity to order goods directly in our ONLINE-Shop. Yes - switch to our ONLINE-Shop on this website and look for the section “Packages and tickets”. 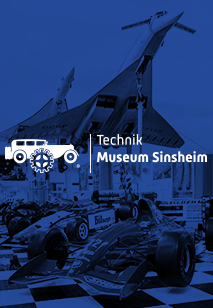 In our online shop you can order tickets and vouchers for the TECHNIK MUSEUM SPEYER and the IMAX DOME movie theatre as well as many other interesting museum items. May I stay overnight in my motorhome on the premises of the museum? Directly next to the Hotel am Technik Museum, we offer a comfortable Caravanpark with 90 pitches and modern sanitation facilities on our open air ground. Yes, we accept EC cards as well as major credit cards at our ticket office and in our souvenir shop. You can also pay with your EC card in our restaurant (no credit cards accepted there). Taking photographs for private purposes is allowed in the TECHNIK MUSEUM SPEYER without limitation. Please feel free to use aids such as tripods and spotlights, as long as their use does not disturb other museum visitors. You are welcome to publish images you have taken and films you have made on your own non-commercial sites, on image sharing sites, or on social sites such as Facebook, YouTube, Flickr etc.